Win a Steam key for a new mystery from the Monkey Island devs, Thimbleweed Park! How do you fancy winning a new game from the creators of Monkey Island and Maniac Mansion? Those two games helped to shape the adventure game genre in the late ’80s and early ’90s. 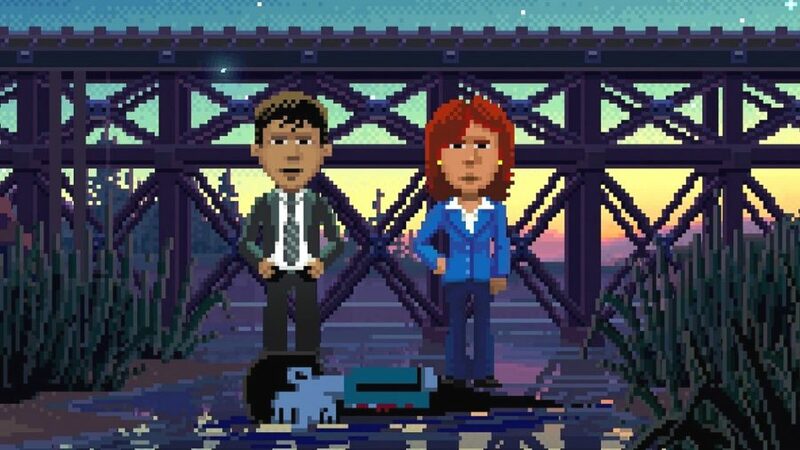 Now their creators have gone back to their roots with Thimbleweed Park – a neo-noir adventure game brought to life with pixel art. Thimbleweed Park is set in 1987 and starts with the discovery of a dead body. But, oddly, it seems no one in town is that bothered by the presence of the cadaver – they have other things on their minds. The game’s story billows out from this point across five playable characters who start off as strangers but will be brought together by a deep connection. Expect to uncover plenty of surreal secrets in this strange town as you try to piece together a multifaceted mystery. Thimbleweed park isn’t at all as serious as that may make it sound. It has plenty of jokes – a promise of one every two minutes – and silly puzzles for you to solve. What else would you expect from the creators of Monkey Island? The game originally came out in 2017 to plenty of praise so if you’re a fan of classic-style adventure games you shouldn’t be disappointed. We have ten Steam keys for Thimbleweed Park to give away in total. If you want to be in with a chance of winning one then you can enter the competition via the widget below. Every action you complete is worth one entry into the giveaway, with the more actions you complete increasing your chances of winning.